Press release taken from Adobe’s blog. Adobe Advertising Cloud partners with data-driven audio marketing leader, A Million Ads, to help brands tap into the growing power of digital audio. Despite the massive growth of digital audio, with advertising revenue in the space reaching $1.6 billion in 2017, advertisers continue to struggle to make an impact with new targeting techniques. To help brands navigate these important, underutilised channels, Adobe Advertising Cloud, part of Adobe Experience Cloud, is partnering with A Million Ads, a global leader in data-driven audio marketing. Brands understand the importance of emotional connections and know that in a busy, noisy world, it’s best to communicate with consumers in a personal way without being intrusive. Adding higher-level capabilities like dynamic creative and real-time user data can help marketers create and deliver context-aware, targeted audio ads that have greater standout, higher recall and better engagement — vital requirements when trying to reach people who no longer listen to the radio and instead focus time across a multitude of streaming audio platforms. To ensure marketers have all of the right tools, Adobe Advertising Cloud and A Million Ads, are partnering to expand the ways advertisers target and capture the attention of key audiences with personalised, data-driven audio ads. Through A Million Ads’ sophisticated technology, advertisers have insights into a user’s location, time, weather and device. With access to this data, advertisers can combine their targeted messages and determine the best sequence of hearing an ad. “Customers have really resonated with the opportunity to expand dynamic creative efforts in audio marketing from the performance world to the branding world – in an effort to achieve branding KPIs,” said Justin Merickel, Vice President of Adobe Advertising Cloud. ‘Audio, Video and branding efforts need just as much hyper-personification in this noisy world as Direct Response campaigns. Adobe Ad Cloud customers can immediately start using the power of A Million Ads, more info found here. Adobe Advertising Cloud is the industry’s first end-to-end, independent platform for managing advertising across traditional TV and digital formats. By focusing on brand safety, improving transparency and leveraging the full power of Adobe Creative Cloud and Adobe Experience Cloud, our platform enables advertisers to gain greater control of their global advertising spend and achieve their business objectives. The platform already manages roughly $3 billion in annualised ad spend on behalf of more than 1,000 global clients, including Allstate, Ford, Heineken, L’Oréal, MGM, Southwest Airlines and Wells Fargo. A Million Ads personalises digital audio advertising. Think music streaming ads that know what city you are in, or radio ads on your smart speaker that know if it’s raining outside. Our ads are more context aware and relevant to the listener, and so perform a lot better. We have delivered over 180 campaigns across Europe for brands including Sky, BMW, British Airways, Deliveroo, Carphone Warehouse, Virgin Atlantic and Nissan, are working with five out of the six major advertising agencies and have partnerships with all the major music streaming, internet radio and podcasting services around the world. We exist to make ads that you love. We do that by combining creativity in the production process with a tech platform that, powered by data, delivers the best ad at the right time for each user. Today we deploy our personalisation engine across digital audio and we are now extending that capability across many other channels, starting with video. A Million Ads, a London-based start-up making digital audio advertising more relevant and context-aware, has raised £2.3m in seed funding. A Million Ads was founded by CEO Steve Dunlop, who has built a stellar team and pioneered personalisation in audio. A Million Ads is an innovative platform for producers and creatives to quickly and easily build millions of versions of an advertisement. The platform leverages information known about consumers, the brand and a campaign to influence the creative of the ad, such as the music, voice-over or sound effects. The result is highly relevant ads, which are delivered real-time, reducing noise for consumers. The ads are more context-aware, creating a more pleasant listening experience, therefore performing better than traditional advertisements. The company is already working with music streaming, internet radio and podcasting services around the world, producing campaigns for brands such as Virgin Atlantic, Audible, BMW, Ebay, British Airways and Deliveroo. A Million Ads is fully GDPR compliant and uses environmental and aggregate data to make ads feel more personal to each user. The audio market has recently experienced a resurgence thanks to developments in technology and consumer habits. Audio-on-demand (such as podcasting) is experiencing the same growth trend as music streaming and video-on-demand, benefiting the company’s core proposition. Moreover, there is clear demand from consumers for better quality, less invasive, more ethical and more relevant advertising. Funds raised in this round will see the company expanding its product to include video, as well as accelerating growth in the US, where the company already has a blue-chip client base. A Million Ads personalises digital audio advertising. Think music streaming ads that know what city you are in, or radio ads on your smart speaker that know if it's raining outside. Our ads are more context aware and relevant to the listener, and so perform a lot better. We have delivered over 130 campaigns across Europe for brands including Sky, BMW, British Airways, Deliveroo, Carphone Warehouse, Virgin Atlantic and Nissan, are working with five out of the six major advertising agencies and have partnerships with all the major music streaming, internet radio and podcasting services around the world. 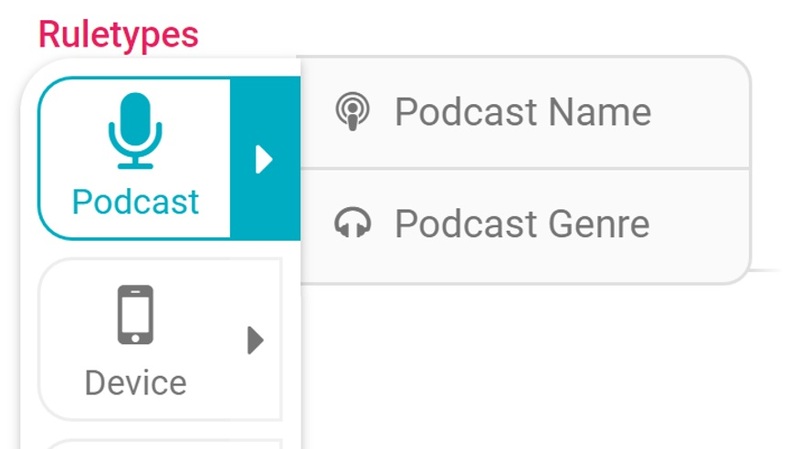 Today we deploy our personalisation engine across music streaming, internet radio and podcasting services and we are now extending that capability across many other channels, starting with video. GMG Ventures LP, a venture capital fund whose sole limited partner is the Scott Trust, owner of the Guardian, invests in early stage businesses focused on developing the next generation of media technology which will accelerate GMG’s strategy, or be adjacent and disruptive to the media sector. Examples of sectors we focus on include tools for journalism, including AI and blockchain, payment technologies, tools or platforms allowing readers to act on content that inspires them, new forms of content distribution, including audio and VR. As part of our strategy, we seek to provide portfolio companies with unfair advantage due to their ability to leverage Guardian resources such as potential access for start-ups to The Guardian's extensive global network. Edge Investments is one of the UK’s most dynamic and innovative specialist investors in the creative industries. Since its launch in 2006 it has raised £200m. In November 2015 Edge launched the Edge Creative Enterprise Fund, a £40 million fund with backing from the British Business Bank. Recent investments have included video and audio platforms Newsflare and audioBoom, Antidote, a factual TV production company, TRX, a TV licensing platform, Airbeem, a leading Over the Top (‘OTT’) video distribution platform and kid’s activity market place Hoop. Edge Investments has also invested in children’s entertainment, live events and mobile games analytics. Core to Edge’s approach is its experienced team of creative industries and investment professionals. Individually and collectively, the Edge team has been investing in venture capital since 1984 across 11 separate funds.